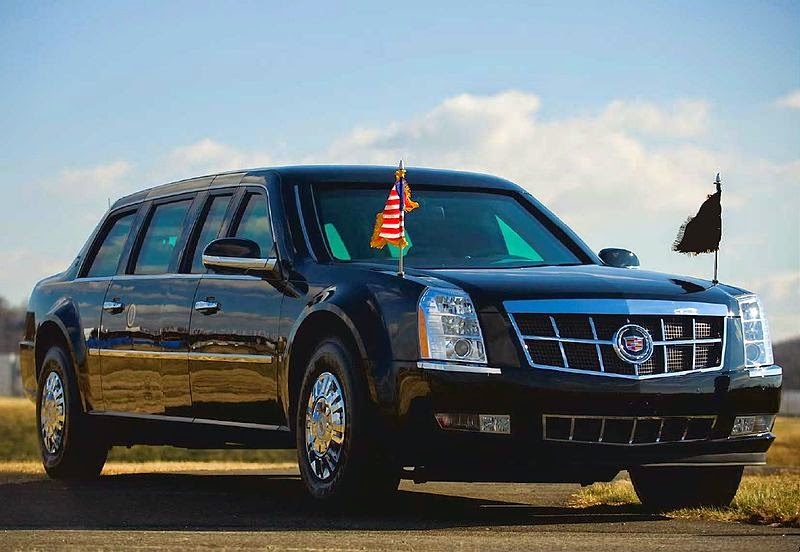 President Barack Obama's just concluded India visit has turned out to be a money spinner for General Motors, the makers of presidential limousine called ‘The Beast’. The limo is based on a number of GM platforms featuring the best of Cadillac’s dramatic design and technology and shares components with several different vehicles. The technical details and picture album of the brand new 'The Beast' that Obama got in 2009 can be found here. General Motors Company, commonly known as GM, is an American multinational corporation headquartered in Detroit, Michigan. The news of Amit Shah's unprecedented success in revitalizing his party through his mastery in attracting even the party's best critics is making rounds not only in India but have reached to the corridors of 'White House', the world's biggest power center. Shah, supposed to be the No. 2 in BJP, is perceived to be the man behind BJP's massive success in Uttar Pradesh, Bihar, Haryana, J&K, Jharkhand and to a large extent in Maharashtra. His secret formula magically makes ex-stalwarts of opposition parties to suddenly start praising his boss and then eventually join the party they have been fighting against throughout their political life. Humans living on earth have been advised to stay away from people who claim to be the Messengers of God (MOG). A press release issued by a messenger of God, believed to be a genuine one, has warned that encouraging such fake Messengers of God will only undermine and dilute the supreme authority of the ultimate true God. The release, which bears no date, name of the place or contact details, says : "Our beloved lord is disturbed to learn that certain unscrupulous, inhumane, self-proclaimed godmen, besides the so called "Messengers of God," are preaching and doing things that they have been not only NOT authorized but also can never be allowed to by our kind hearted loving God." F4Fnews has come to know that a consortium of top Indian builders has been formed to tap the huge potential for real estate projects on Mars. This is the first time in India, that builders of different hues and colors having conflicting interests on earth have come together and joined hands with the aim of making India the super power of 'All Things S' - a short form of All Things Space i.e. everything related with the field of space. Encouraged by the news report, in a section of the print media, that Prime Minister Narendra Modi has liked and approved the idea of introducing a Rs 25 currency note in order to ease the 'Ramayan' of the acute shortage of Rs. 5 coins that leads to everyday difficulties for small businesses throughout the country, real estate related all India business associations have come out with their idea to solve their own problems. The Rs 25 note idea, according to a leading Gujarati newspaper, was given by one businessman from Chandigarh who got impressed by PM's "Mann Ki Baat" radio program and decided to send his suggestion to him directly. PMO has been reported to have initiated action to implement his idea. 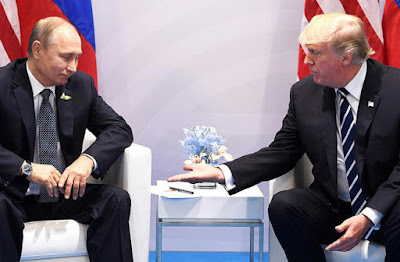 If you thought that the fights involving the three most powerful nations – America, China and Russia –were limited to land, air, sea and more recently for online (internet) space then we are sorry to tell you that you are not aware of this latest development which these countries’ bosses have been able to keep a highly guarded secret so far. 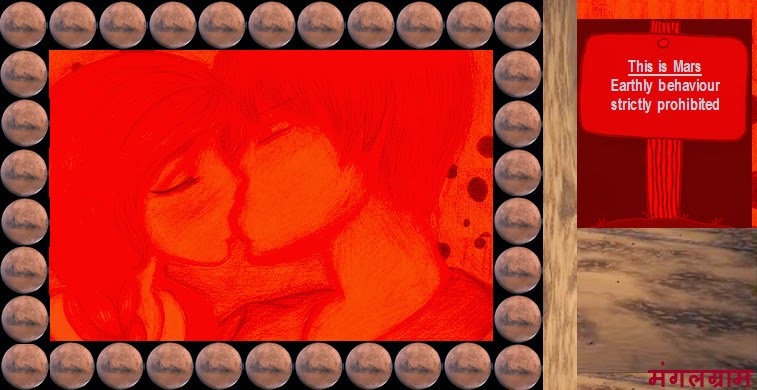 According to the latest reports from White House, Kremlin and Beijing, received by F4Fnews a short while ago, indicate that fresh tensions are building up among the top 3 over their respective claims involving space on Moon and Mars. 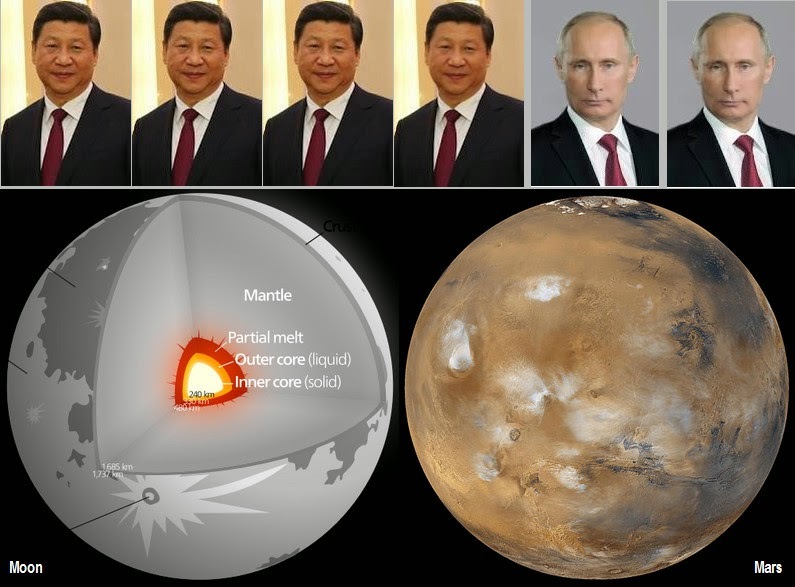 In a highly secret pact, Vladimir Putin and Xi Jinping have mutually agreed for 30:70 ownership of Moon as well as Mars and for setting up of a joint space defense station manned by highly skilled space scientists to safeguard their interests at the two most sought after space assets. It is understood that while China will be main contributor in terms of financing the whole project, Russia would provide all its technological know-how, manpower and training facilities, and ground assault services, as and when necessary to achieve their objectives. F4Fnews has just learned that, in an urgently promulgated directive, President Xi Jinping has banned Alibaba Group's internet operations including their ecommerce websites with immediate effect. 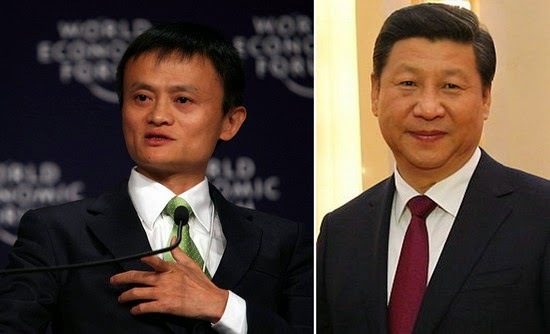 However, sources from Beijing have told us that Xi is holding private talks with Alibaba founder Jack Ma in close door meetings. It is believed that unofficially Ma has been allowed 15 days’ time to sort out all the issues related with his company's ban. We are sure, the new year's first news from us will bring cheers especially to all the ruling parties and their all ministers. In addition, this news is going to be equally important and cheerful to all the officially registered and elected active workers and leaders of all political parties in the country. F4Fnews has learned from its dedicated sources in Delhi that the central government is going to introduce a compulsory dress code for all ministers (central, and in states), MLAs, MPs of all political parties. There will also be a dress code for all official office bearers of all registered political parties as per their status in the respective party. The government has already alerted all political parties to submit 5 designs or styles of their preferred uniform that they would like to have for all of their eligible members. They will have to have different uniform for each level of their party organisation. A committee comprising of unspecified number of members representing PMO, home minitry and textile ministry will shortlist two designs from those submitted and send it to the Prime Minister for the final selection and approval. The scheme in the name of 'Bharat Ka Sevak Poshak' will come into force from January 26 under the "National Dress Code Act 2015". Every uniform will have 'Bharat Ka Sevak' embroidered in tricolour. Each eligible person will get 4 uniforms every year under the scheme. Needless to say, this new year gift to all those who fight with each other so that we, the citizens, can live peacefully, will be provided at the government's expense.